*Authorized Mohawk Dealer* Jim Owens Flooring is your one-stop shop for interior renovation and construction! At Jim Owens Flooring and Cabinets of Metairie & Mandeville LA, we are committed to providing the finest selection of name brand carpet, flooring, cabinets, countertops and window treatments such as Mohawk, Mannington, Daltile, Quickstep, Timberlake, Columbia, American Olean, Bruce, Crossville, Hunter Douglas, Congoleum and many more. Let the professionals at Jim Owens Flooring and Cabinets help decorate any room in your home or business for a beautiful new look. We have products for every budget and offer free estimates. We also offer expert design advice, professionally trained installers and special financing programs for qualified buyers. 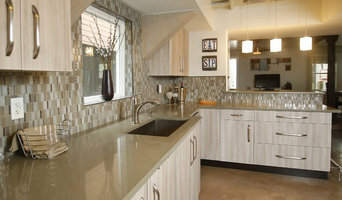 Specializing in contemporary and beaded-inset cabinetry. 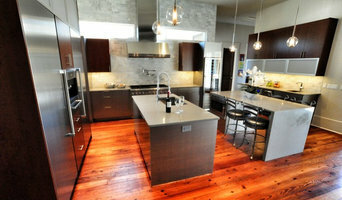 We are a design build firm who works with our clients throughout a project whether it is new construction or remodel. We utilize Cabinet Vision for our 3D design to give the customer a realistic view of their project before construction. Gulf Breeze Cabinets and Countertops inc.
At Milltown Cabinets, we take pride in each cabinet that we build. Our cabinets are designed and custom made to meet the specific needs of the customer. We design our cabinets to be elegant and functional, while also building cabinetry that is a work of art. 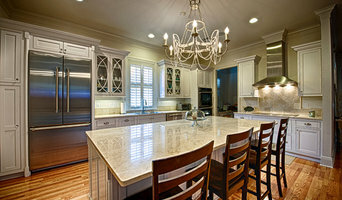 Milltown Cabinets, LLC has served Southern Louisiana and Mississippi with custom cabinetry since 1981. Located on 11 acres outside of Bogalusa, LA with over 28,000 sq. feet of cabinet fabricating facility, Milltown Cabinets offers custom cabinet design with made-to-order cabinetry for kitchens, baths, home offices, entertainment centers, fireplace mantles, garages and all other areas of your home. They also offer a more price conscious "Value Series" of readymade cabinets, bringing Milltown's quality installation and service to a larger retail audience. Milltown Cabinets services a wide array of clientele for cabinets - contractors in the homebuilding industry, architects, interior designers or homeowners remodeling their home - and all receive the same great service that has made Milltown what it is today. The first step in every project we undertake is getting to know you - our client. Involving clientele with the cabinet decision making process by being open to their ideas and concerns are keys for successful customer relations. Milltown offers a vast array of individualized cabinet designs with many popular varieties of room enhancing woods, including maple, birch, oak, cypress, re-milled or sinker cypress, alder and cherry to name a few. Coupled with custom colors and durable finishes, Milltown can offer a quality product at a fair price always resulting in happy customers! 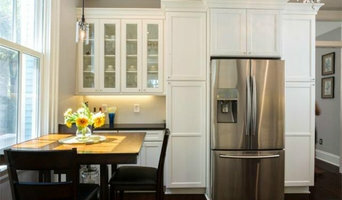 We take pride in beautiful custom cabinets, trim and remodeling. We aim to bring your dreams to reality. We'll work with you on design and custom building to your specifications. No pressure, no rush, your schedule. Open to collaborate with you on any idea you want to create. Cabinetry professionals design, construct, refinish and repair banks of conventional cabinets, but they also create customized storage and shelving for home offices, playrooms, bedrooms, media rooms and other spaces. They’re in the know about Louisiana design trends and different cabinet styles, as well as the latest in special inserts and other options that boost functionality. Cabinetry professionals also can craft furniture to your specifications, such as a corner cabinet for a kitchen or a dining room hutch. In addition, Lacombe, LA cabinetry pros can help you give worn or dated cabinets a makeover. They can replace doors; add glass inserts, decorative moldings and other details; or give cabinetry a new coat of paint or specialty finish. Your cabinetry professional might work closely with a Louisiana kitchen designer, builder, remodeling contractor or interior designer. Here are some related professionals and vendors to complement the work of cabinets & cabinetry: Kitchen & Bath Designers, Kitchen & Bath Remodelers, Interior Designers & Decorators, Closet Designers and Professional Organizers, Woodworkers & Carpenters. Find a cabinetry professional on Houzz. 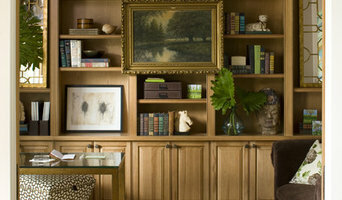 Narrow your search in the Professionals section of the website to Lacombe, LA cabinets and cabinetry. You may also look through Louisiana photos to find examples of cabinets that you like, then contact the cabinetry professional who worked on them.